After each group meeting we report on all key details and subjects covered in the meeting. Complete with contact details and other relevant links and audio recordings of guest speakers’ presentations. Members may also receive additional information solely for them, but we try where possible to publish here all the information so we may share this freely with any interested viewers. Likewise, please feel free to share this content with anyone – there should be no restriction or rationing when it comes to information for helping others. We are not medically trained or qualified, so we will never seek to advise on treatments or medical matters. Whatever advice or personal experiences are shared, everyone should always consult with their own medical and healthcare experts for the best medical care and advice. We are not a registered charity, we handle no money, we have no money. We are just people helping people. Where we require money to fund leaflets or posters, we approach local companies for them to buy on our behalf. We are a support group, with the emphasis being upon support, so we encourage everyone to seek the positive in what we discuss, in our members situations and our overall attitude to our mutual challenges. Let us always try to find solutions rather than be dragged down by the problems, and let us always give encouragement and hope to each other. The group is for everyone, and we can all seek different things from belonging to this group, but at the very least I hope we will all find some degree of friendship and comfort from meeting and knowing our fellow members. Let us all be tolerant of differences and respect that balance disorders come in many flavours and affect any person in any walk of life and at any age – so we of all groups, should acknowledge and celebrate the variety and differences in our members. Michaela is a vestibular audiologist, hypnotherapist and mind coach. 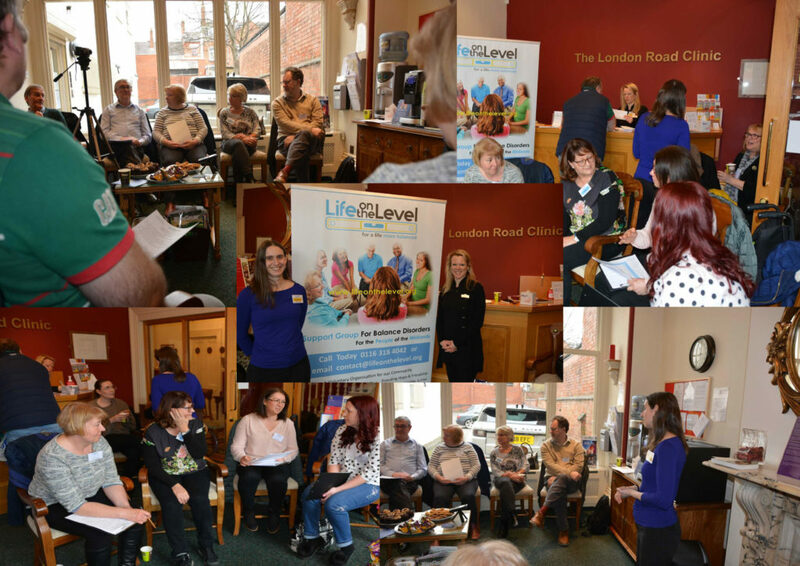 Michaela spoke and included a question and answer session for some 40 minutes, covering many aspects of her professional experience and tips and hints on both balance rehab and coping with anxiety. Feedback from the members was very positive about Michaela’s presentation. 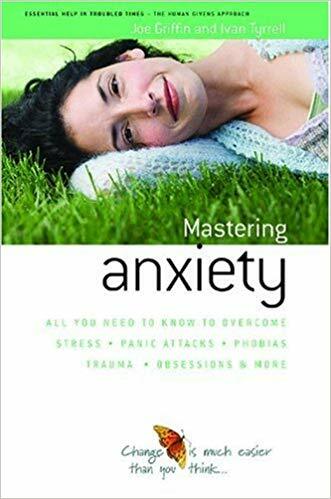 Michaela recommended one book for members concerned with managing anxiety and stress. Very positive voting for almost all options. We are sure to be busy over the coming years ! Some very good questions were raised by members resulting in other members providing very useful information. In particular a question was asked concerning issues around balance mobility and air travel. 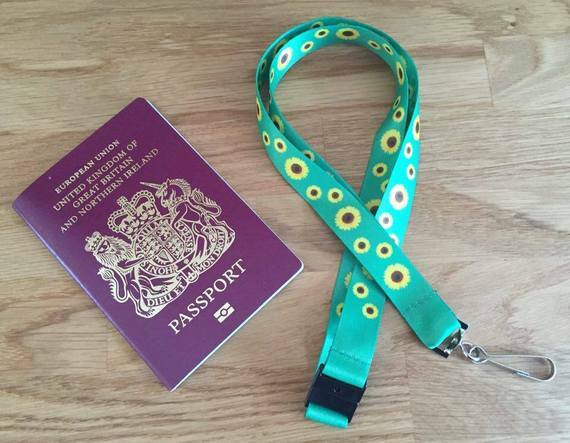 Information was supplied regarding the “hidden disabilities” passenger support scheme, sometimes referred to as the “sunflower lanyard” scheme. Anyone with a serious balance disorder qualifies for this in airport support, where you will be given the appropriate level of assistance throughout all UK airports to get you to and from your plane in safety and without stress. Please click on the following links for details of this scheme at each appropriate airport. These services are free of charge and you have every right to use them. The group was also informed that sufferers of balance disorders should also qualify for The Disabled Persons Railcard – this is for people with a disability that makes travelling by train difficult. 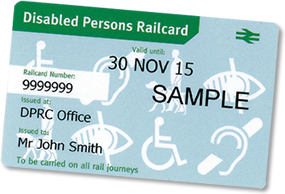 See https://www.disabledpersons-railcard.co.uk/ . You may need to contact them to discuss supply of evidence of your medical diagnosis. But on a successful application the rail card can secure you discounts of up to 30% off normal fairs. A new facility of “member to member” contact detail sharing was launched at our meeting. Members can elect to share their name & email address to a central list that is then circulated to all members on this list. This will allow members to start contact and conversations with other members between group meetings. The contact information will not be shared with any members who have not elected to be on this list. Members may be added to, or withdrawn, from this listing at any time. We hope this will encourage many conversations and contact between all members. Final conversations were held between members, including our guest speaker, enabling friendship and sharing. We always ask for feedback from our members at each meeting, so that we can seek to improve and understand when we are doing well and helping each other. Please see a sample of feedback from this meeting. The feedback explains why we are here – Thank you. “I came to the group today quite upset and felt hopeless due to a bad week because of difficulties, I am so grateful to my friend for bringing me here, such a positive atmosphere, a great speaker and lovely members. I feel that I am not alone now. I would love to keep in touch with everyone and attend more meetings. Thank you you really made a difference” . 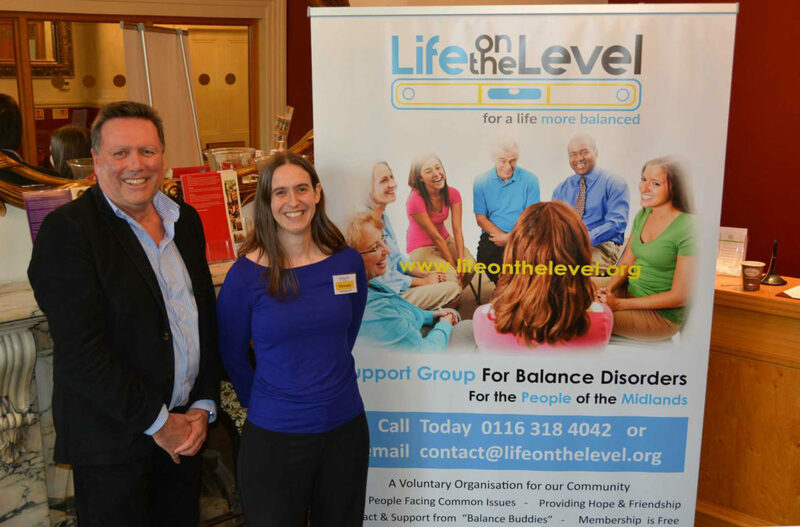 “A Group for Balance disorders is an important way to support the life experience of these debilitating conditions”. I would like to say a big thank you for Saturday. For me this group came at the right time. Although my symptoms are not as bad as some other people, not knowing what will come next, still waiting for my diagnostic plus some personal issues really got me down. I came there on Saturday morning trying hard to not cry and I left feeling so good, positive and feeling that I’m not on my own. It might sound overdramatic, but you really made a huge impact in my life. I left on Saturday and I went to my friend’s party (which I usually refuse) and they commented on how positive I am. I know is not going to be easy and I know they will be ups and downs but is really nice to know I have other people to talk to and understand me. Michaela was a great speaker, such a passionate and caring specialist. Thank you. Once again thank you so much for a great group, you are doing an amazing job. I’m really looking forward to see you again. Thank you all for such wonderful feedback. This is why we are so determined to reach everyone who can benefit from our support. Please come and join us if you feel we can help and don’t wish to face your challenges alone. You are very very welcome.